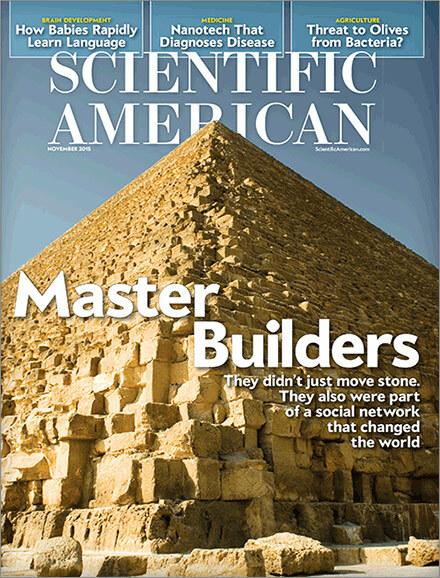 This chapter contribution to Scientific American was originally published as “These Truths Are Not Self-Evident—but They’ve Been Firmly Established Over and Over by Scientific Research” (November, 2016). It was co-authored by Michael Shermer, Harriet Hall, Ray Pierrehumbert, Paul Offit, and Seth Shostak. Like confessing a murder. Dramatic words. But it doesn’t take a rocket scientist—or an English naturalist—to understand why a theory on the origin of species by means of natural selection would be so controversial: if new species are created naturally—not supernaturally—what place, then, for God? No wonder Darwin waited 20 years before finally publishing his theory in 1859, and why more than a century and a half later people of some religious faiths still find the theory threatening. But that 150+ years have brought together so much evidence in support of the theory that it would be truly astonishing if it turned out not to be true—on par with doubting the Big Bang origin of the universe or the germ theory of disease. Why? Because of a convergence of evidence from many lines of inquiry. One of the deepest problems in epistemology is how we know the nature of reality. Over the millennia philosophers have offered many theories, from solipsism (only one’s mind is known to exist) to the theory that natural selection shaped our senses to give us an accurate, or veridical, model of the world. Now a new theory by University of California, Irvine, cognitive scientist Donald Hoffman is garnering attention. (Google his scholarly papers and TED talk with more than 1.4 million views.) Grounded in evolutionary psychology, it is called the Interface Theory of Perception (ITP) and argues that percepts act as a species-specific user interface that directs behavior toward survival and reproduction, not truth. A review of The Social Conquest of Earth by Edward O. Wilson. Edward O. Wilson is one of the grand distinguished scientists of our time, the winner of two Pulitzer Prizes (for On Human Nature in 1979 and The Ants in 1991) who writes intricate and detailed technical papers and books on the most narrow of topics (e.g., ant ecology) in between penning grand theoretical works about human nature, history, and the environment. He has been mistrusted by conservatives for his promotion of the teaching of evolutionary theory and his conservation efforts to preserve the environment, and he has been vilified by liberals for suggesting that humans have a biological nature that is not infinitely malleable by social engineering. His 1998 book Consilience: The Unity of Knowledge was nothing short of a clarion call to resurrect the Enlightenment and reengineer it for the new millennium, suggesting that theologians and philosophers have had their day in the court of morality and ethics and that it is high time scientists had a say in what constitutes right and wrong and the good life. Anything that E. O. Wilson writes about is well worth reading, and The Social Conquest of Earth is no exception.